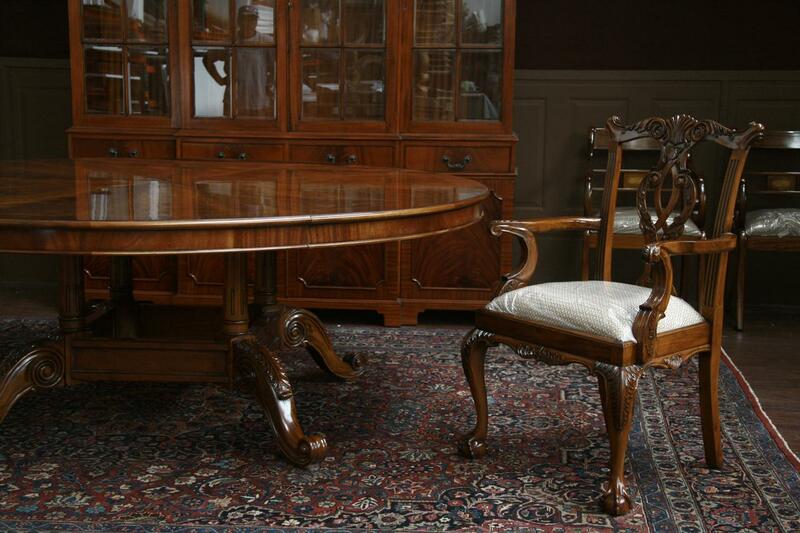 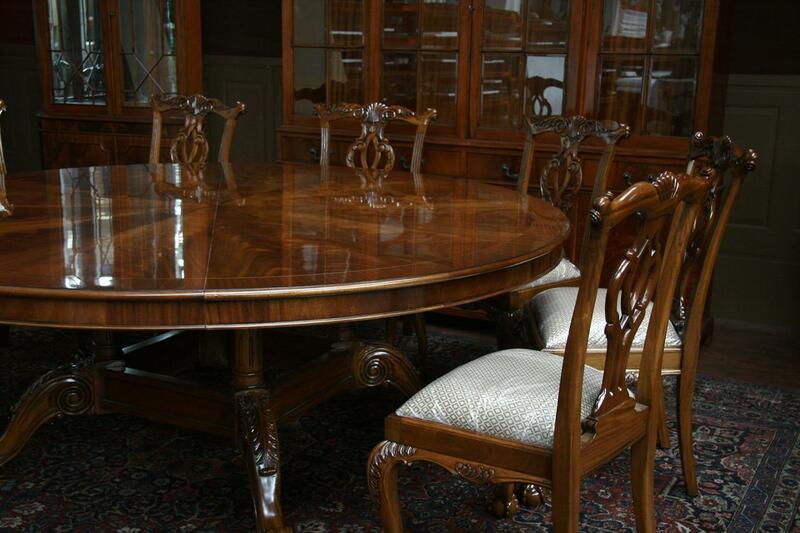 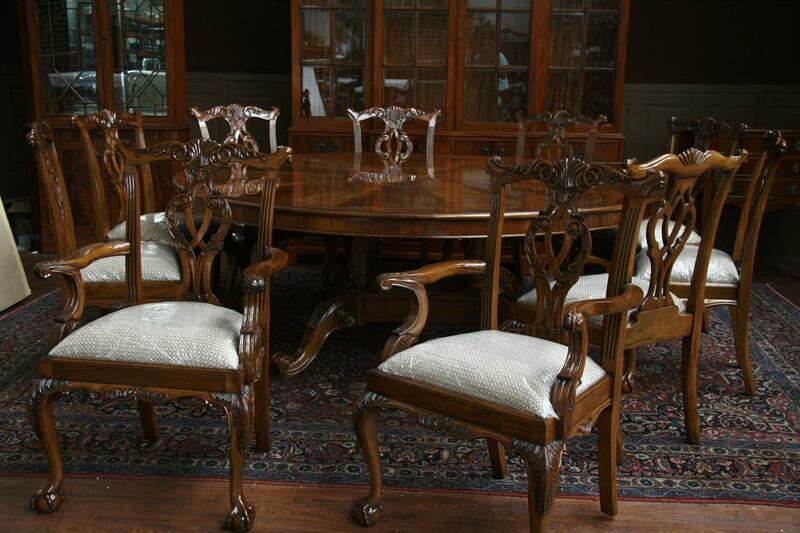 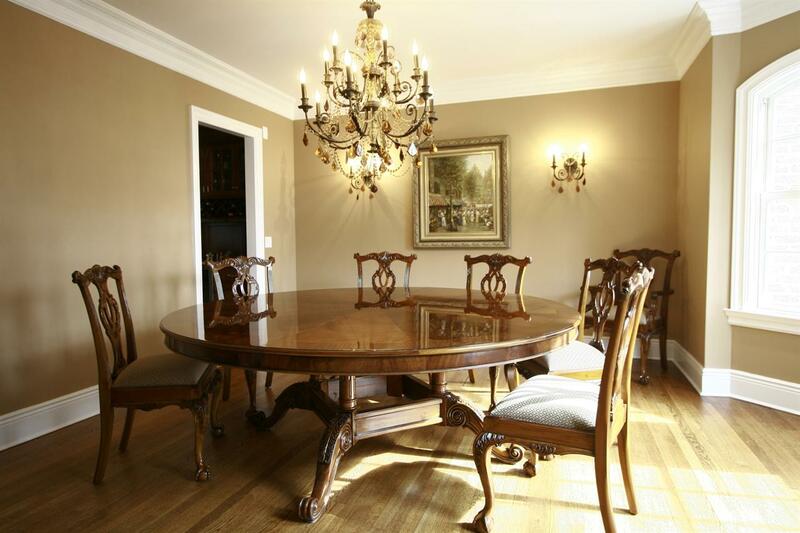 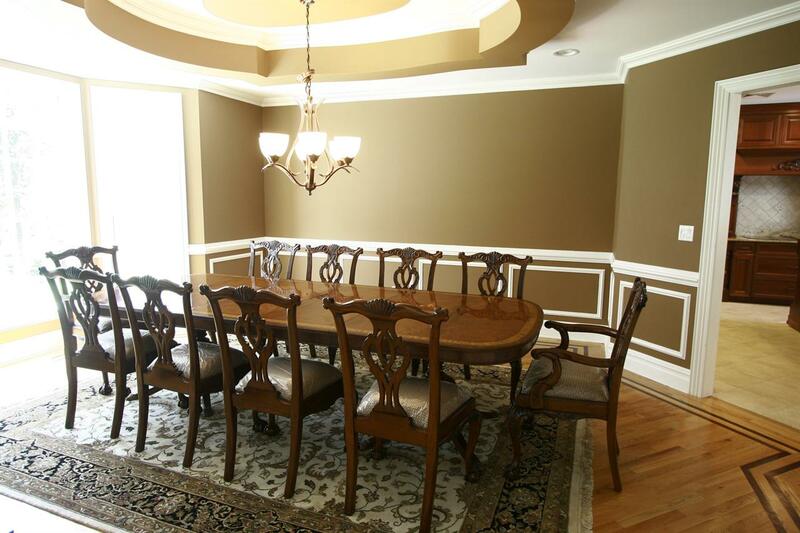 Description: Solid brown mahogany Philadelphia style ball and claw dining room chairs. 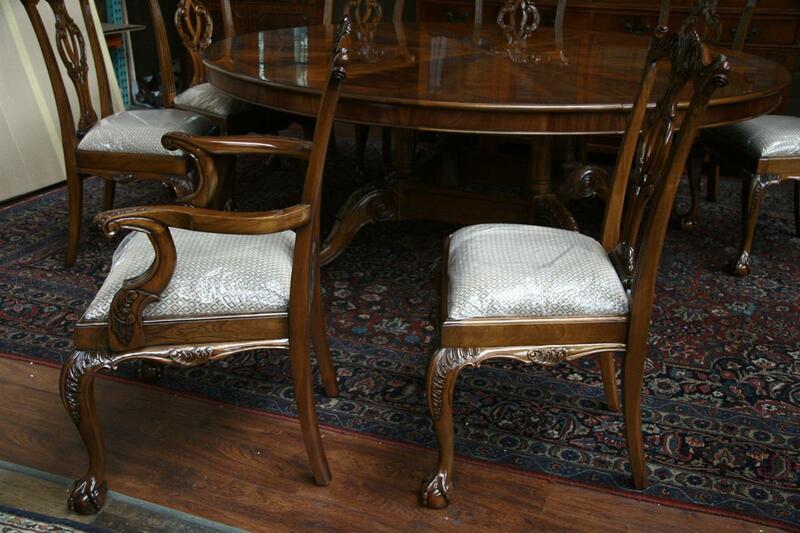 We sell these chairs by the piece. 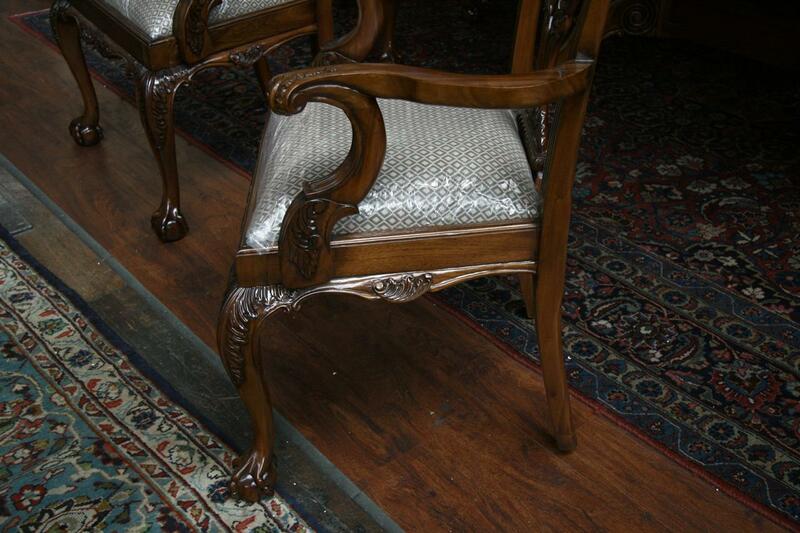 This is a very sought out style of ball and claw chairs. 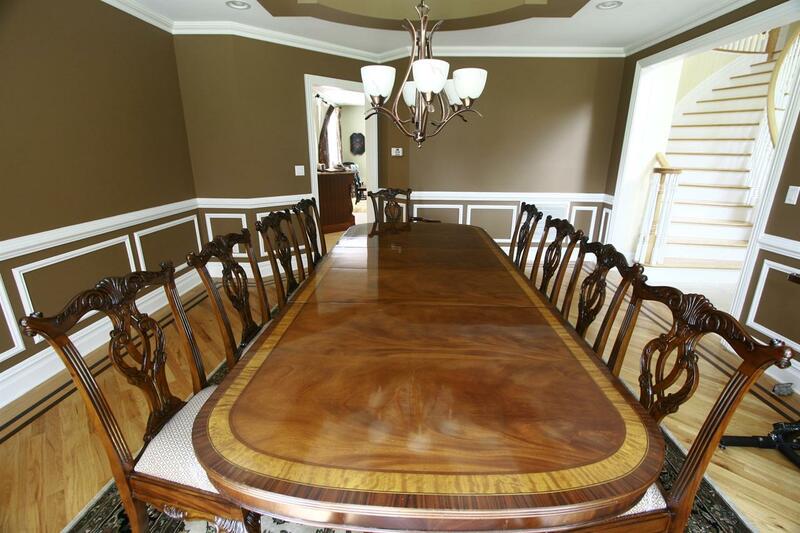 They have a less clunky knee area than most ball and claw chairs, so you will have an easier time getting an extra place setting on your table. 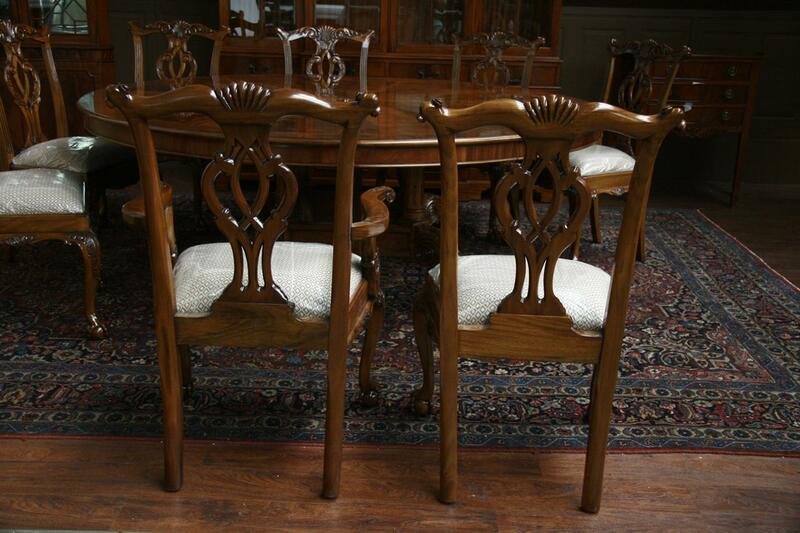 These chairs have a fancy ear, which is a scroll shape ear and the scroll is carved front and back, unlike cheaper reproductions. 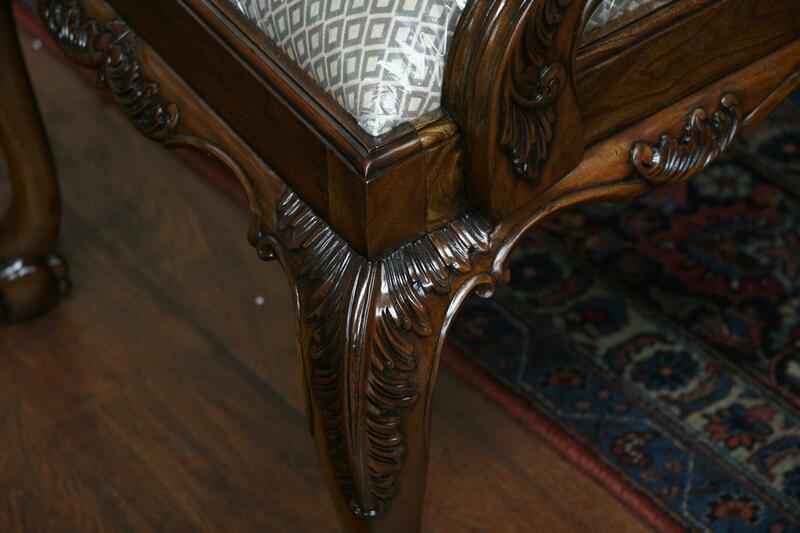 This is a super heavy and quality chair. 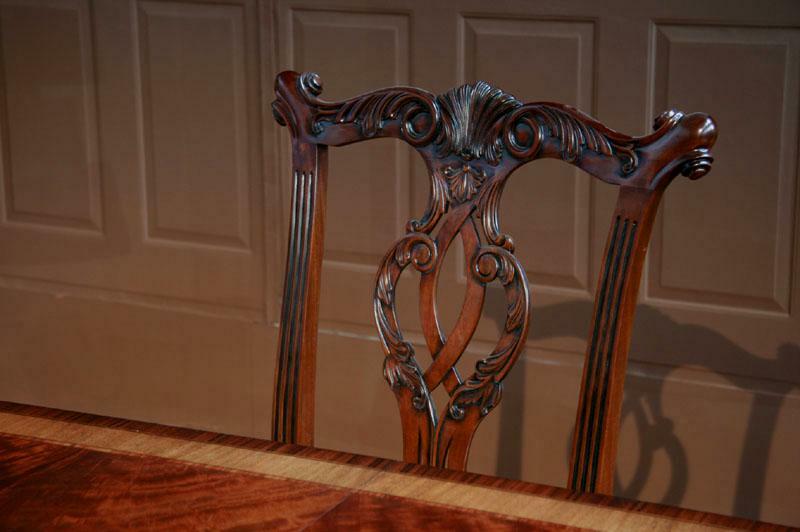 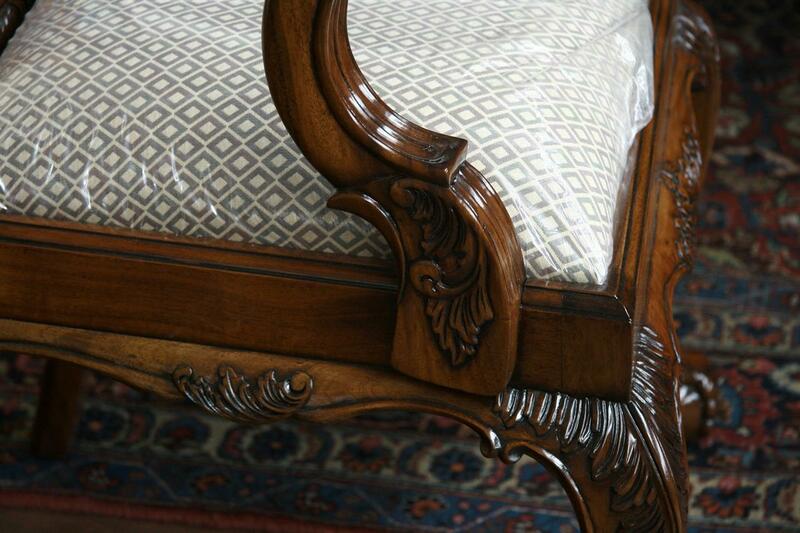 It is solid mahogany, there are nno Veneers on this chair. 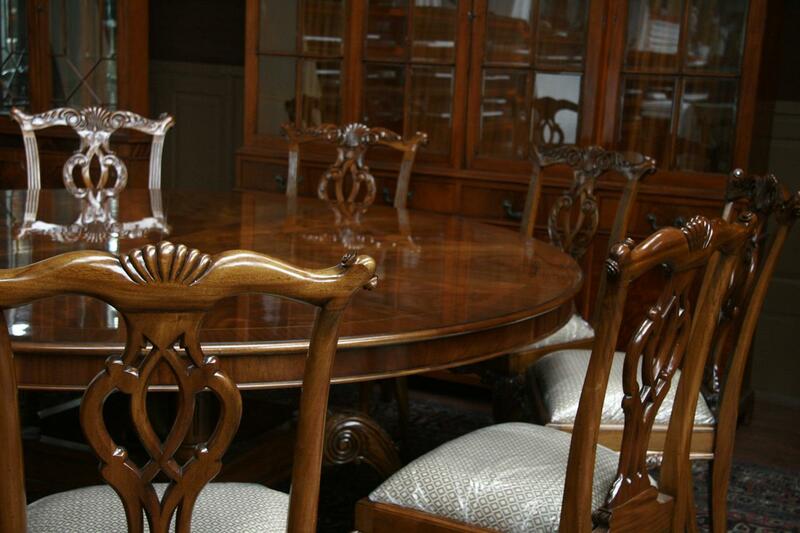 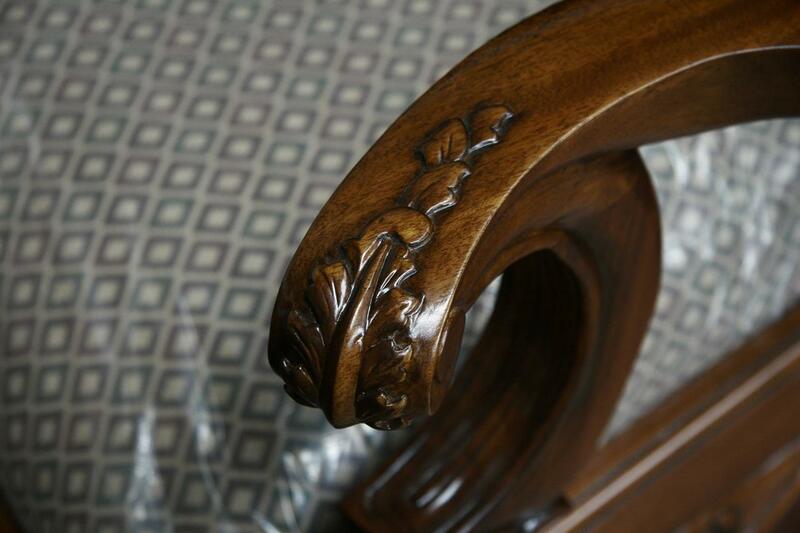 They have a deep golden brown color with antique glazing to accent the hand carvings. 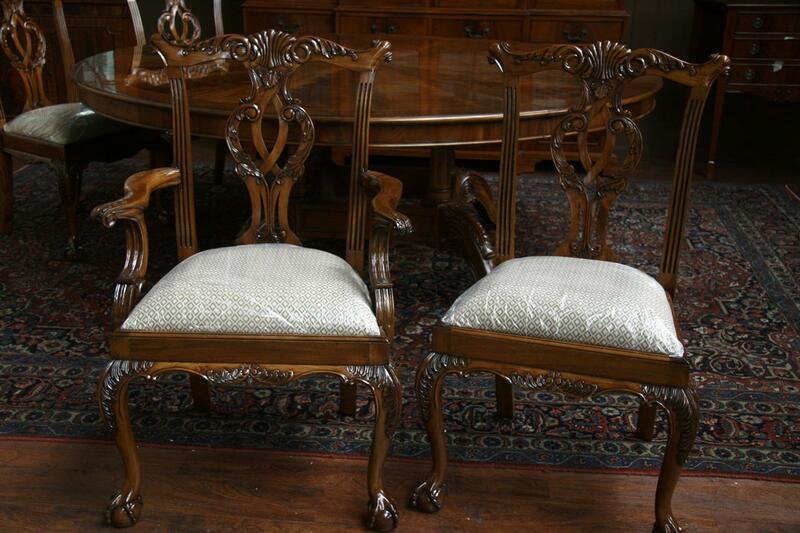 Last three pictures show actual factory where chairs are built.